The Nazca Lines are one of the most recognisable images of Peru and I advise that if you are travelling to Peru then a visit to the Nazca lines must be on your itinery list. The Nazca lines are huge drawings on the floor of the Nazca desert located to the south-west of Peru and cover an area of 520km between the two towns of Nazca and Palpa. 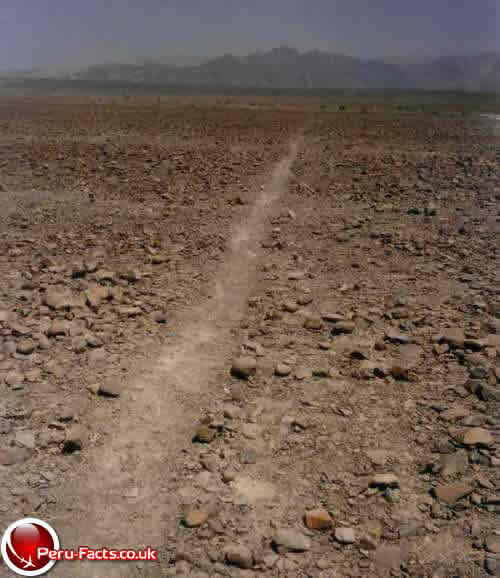 The lines were rediscovered in 1939 and are believe to have been created between 200BC and AD700 by the native people of Nazca wf h depictions of monkeys, birds, spiders, hummingbirds, lizards and fish all present on the desert floor. With some of the lines being over six miles in length it is best to view the Nazca lines by air as this will enable you to take in the full spectrum of some of the drawings that cannot be appreciated whilst on the ground. For this reason it is a mystery to why the lines were created as it is highly unlikely that the Nazca people had flying vessels in which to view their drawings and very little evidence remains from the Nazca people as little information was been recovered. It is believed that the Nazca lines were constructed using simple tools and surveying equipment in keeping with the period of history such as using wooden stakes to join the lines together. The methods used to make the lines appear in such a contrasting way to the desert floor was to remove the iron oxide coated pebbles that cover the surface of the Nazca desert floor, this revealed a lightly coloured earth underneath providing the contrast for the lines. 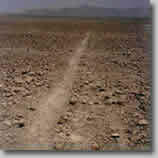 The reason for the Nazca lines remaining so prevalent on the floor of the desert is also due to the conditions within their region, this is due to the desert being extremely dry with little wind, rain and a continual temperature of arond 25°C (77°F) for the whole calendar year. There are over seven hundred lines and shapes in the Nazca desert area with many geometric patterns and drawings of animals, insects and humans and upon your visit you will be able to view the Nazca lines from a platform located near the lines or take a trip in a light aircraft so that you can get the full view of the Nazca lines from the air with tours running over the lines daily. 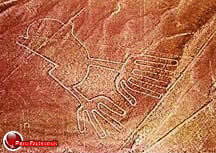 Hopefully you will be able to add your view as to why the Nazca lines were made.